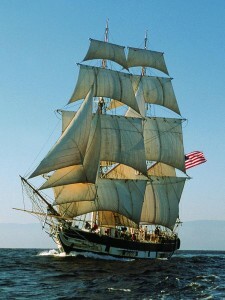 Many of Orange County’s earliest visitors arrived by sea and Dana Point was their first impression. 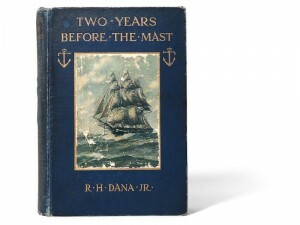 The dramatic coastal bluffs so moved a young sailor from Boston named Richard Henry Dana, Jr. that he called it “the only romantic spot in California.” In his book, “Two Years Before the Mast,” Dana recalls his voyage on the brig, Pilgrim, in 1835 , when he witnessed the glory days of the Rancho Era first hand. 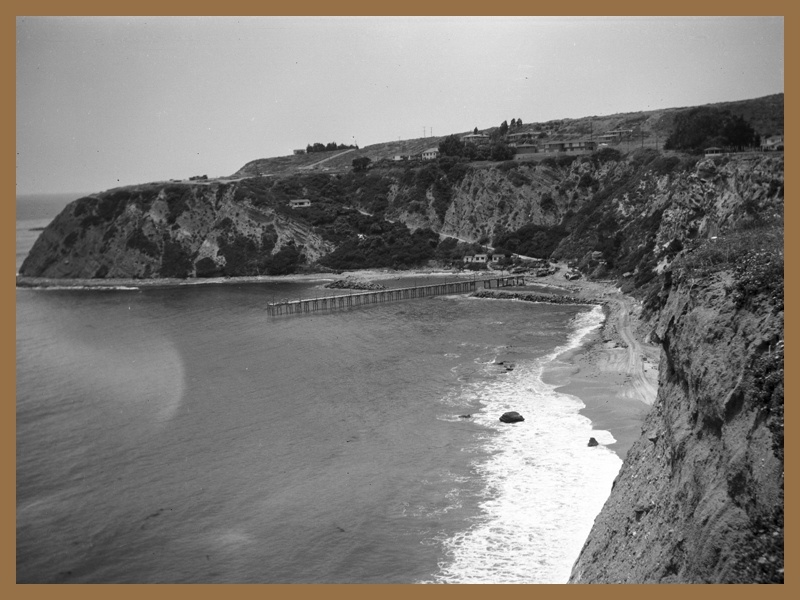 Dana Point remained undeveloped cattle grazing land until The Santa Fe Railroad crossed the Capistrano Valley in the 1880’s and added a spur track to the beach. A little resort town grew there, called San-Juan-By-The-Sea, with a few stores homes and restaurants, a dance hall and a hotel. Today this area is downtown Capistrano Beach. But the isolated beach town had little supplies and local water was poor, so it soon disappeared. 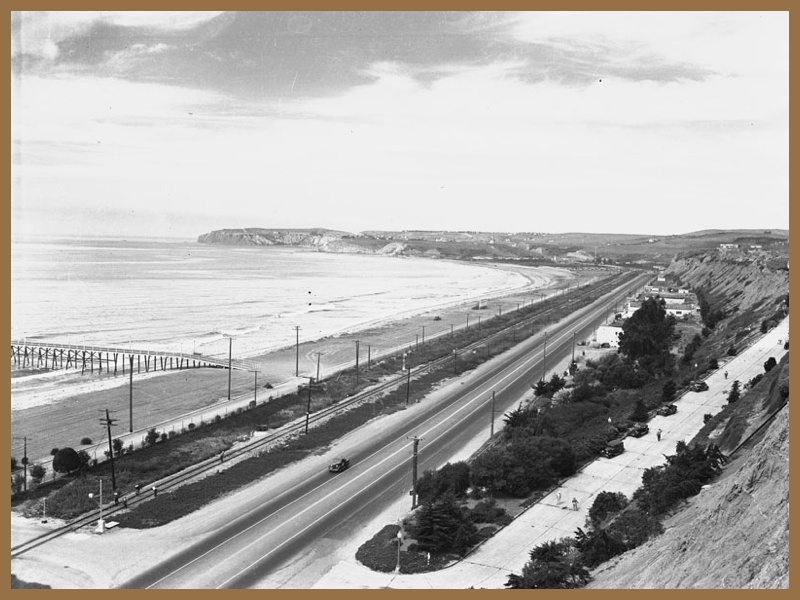 When the automobile arrived, however, the high, ocean-view land of Dana Point became attractive to land developers as a half-way point between Los Angeles and San Diego. Several attempts at development were made in the 1920’s, including an investment by Edward L Doheny, Jr. But since Pacific Coast Highway had not yet made its way through Dana Point, they never took hold. Finally, when the San Diego Freeway was completed in the 1950’s, the land was finally accessible to new residents. In 1966, breakwater building began for a new 2,500 boat slip harbor which finally opened in 1971. History has come full circle in Dana Point as a replica of Richard Henry Dana’s ship, Pilgrim, is now anchored in the harbor and is open to the public for tours.